In July 1947 something crashed in the desert between Corona and Roswell, New Mexico - and it was not part of a weather balloon! Since that time, the numbers of civilian and military witnesses who have come forward to talk about their role in the so-called "Roswell Incident" have reached the hundreds. 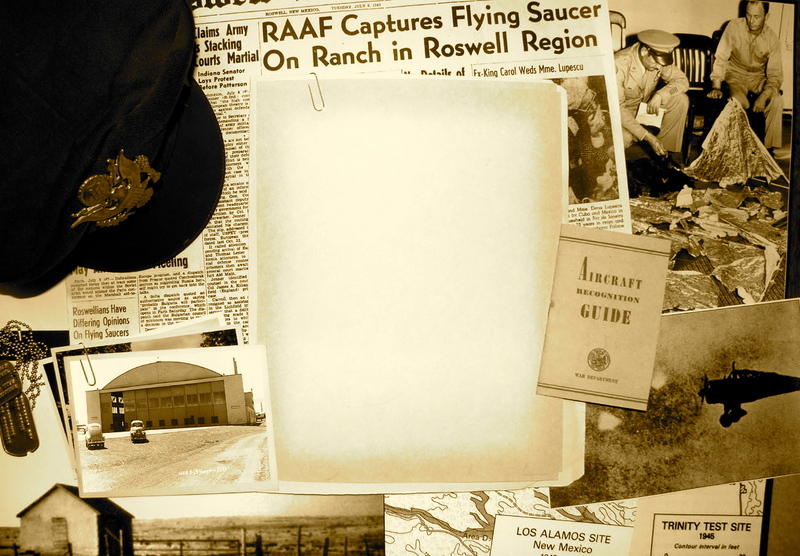 Known by some as the Grandfather of modern UFO cases, the Roswell event involved not only an extraterrestrial UFO crash, but a top secret military retrieval operation, as well as a government cover-up campaign that has lasted for over 60 years. So what actually did crash near Roswell back in the summer of 1947? Find out on our exciting Roswell UFO Tour, and enjoy an educational, informative, and fun journey to the places where it all happened. Follow the fascinating story of the UFO Incident as you visit the actual sites where the events occurred in Roswell. Explore Roswell Army Air Field, the former military base that was home to the 509th Bomb Group, the elite unit that was so closely involved with the UFO incident. Discover the infamous Hangar (Building 84) where the recovered spacecraft and alien bodies were kept, before being sent to other locations in the United States to be studied. At each of the above locations, time is allotted to take photographs and discuss the events that took place there. No matter what your interest level, time or budget - we guarantee that you will see, hear, and learn more about the 1947 UFO crash on our fun and educational Roswell UFO Tours! "The tour was the highlight of our Roswell vacation. I would highly recommend it to anyone visiting the Roswell area." "Dennis was very informative, down to earth, and friendly. I would definitely recommend this to anyone who is visiting Roswell to learn about what happened there!" "Don't miss this chance to tour with a top expert! See the areas where one of the most profound occurrences of our time took place!" "Any chance to tour Roswell's streets with Dennis should not be passed up." "This Tour is a very detailed history lesson, and it was one of the high points of my trip to Roswell."